But it will grow stronger and more independent over time as orbiters are added to the network circling 23,222 kilometres (14,430 miles) above Earth. 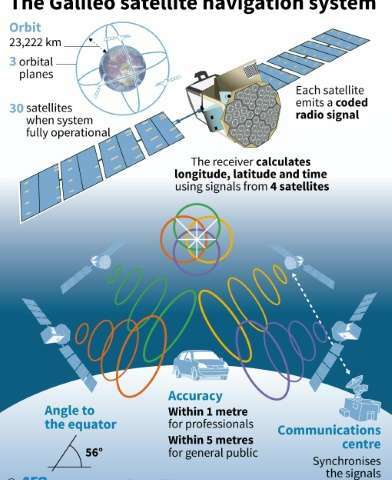 Galileo's free Open Service will be able to pinpoint a location to within a metre (3.3 feet), compared to several metres for GPS and Russia's GLONASS. Its signal will eventually reach areas where none is possible today—inside road tunnels and on routes where high buildings shield radio waves from satellites flying low on the horizon. 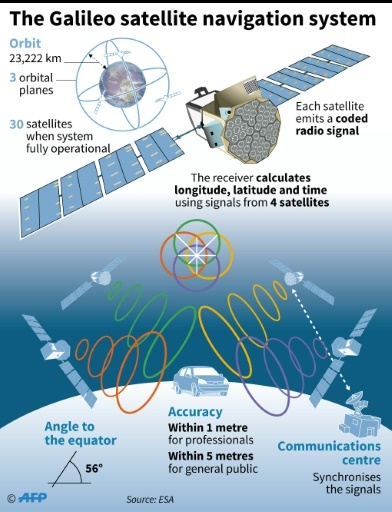 The civilian-controlled service is also of great strategic importance for Europe, which relies on two military-run services—GPS and GLONASS, which provide no guarantee of uninterrupted service. 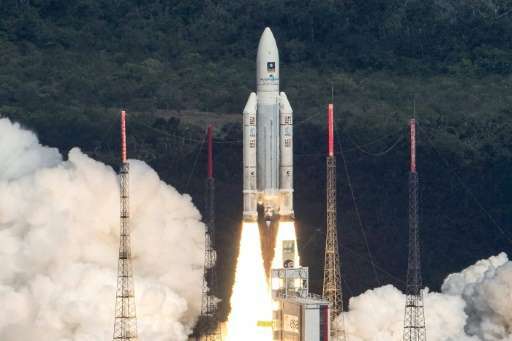 It suffered several technical and budgetary setbacks, including the launch of two satellites into the wrong orbit in 2014. Its total cost until 2020 is now calculated at about 10 billion euros ($11 billion).